This monthly series spotlights an amazing member of the team here at Neato. We take a moment to get to know the people behind the scenes, the robots and the business… Let’s meet our NEATONIANS! Rachel Lucas has been working at Neato for 3 years. As a mechanical engineer at the company Rachel works on sensor research and development, but her passion lies with all things patents. Rachel currently works on all of our patents, partnering with our lawyers, heading the employee committee and studying to be a patent agent (sponsored by Neato). 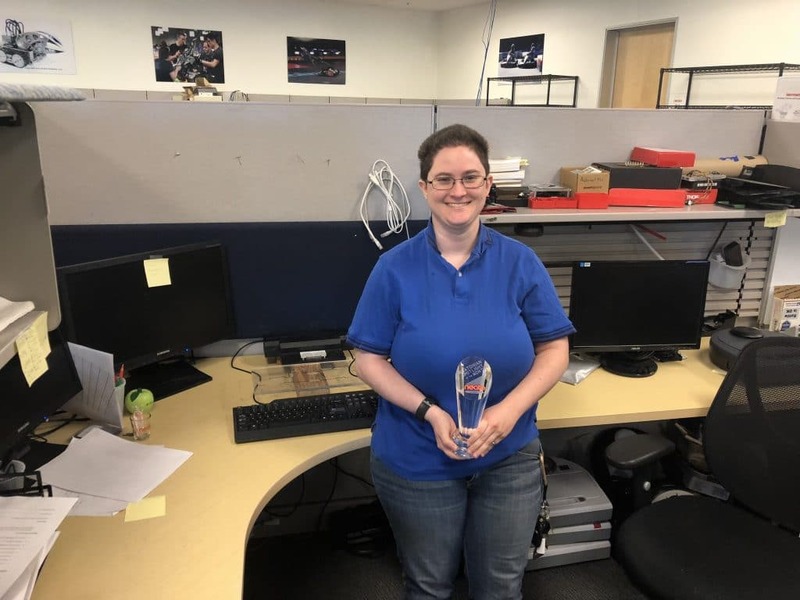 Her work here is not only important to the bottom line but the future of the business, we are lucky to have her on the team and watch her grow into an expert in the patent business. Rachel is one of only four women in engineering and the only woman on her team. We get her thoughts on how to diversify the field and as well as what she enjoys outside of Neato. There are so many women that are willing to do things and stand up for what they believe in and that to me is so inspiring. There is an overall push to get young people involved in robotics or in any of the STEM programs, what do you think we at Neato need to do to increase awareness in robotics in young people, but more specifically young women? The issue is not getting young women interested, the issue is how to keep them interested in robotics. I was able to help coach a team of girls while in graduate school and they were amazing. Some of them were better welders then adults that I know. What could we do to keep them interested? We need to get involved at the high school level. The Botvac is a good platform to use for Robotics since the ROS node within the robot have easy enough coding that someone at the high school level could work with it. We need to partner with a school or two, or sponsor a robotics team in the bay area or across the globe. I was able to help coach a team of girls while in graduate school and they were amazing. Some of them were better welders than adults that I know. I would love to work with a group and help continue their interest and passion for robots. What got you interested in mechanical engineering? I’ve always enjoyed tinkering with things. I went to a summer robotics camp when I was 13 and fell in love with the field! When in college I had a professor encourage me to focus in mechanical in undergrad which I did, along with minor in computer engineering. My interest continued to grow which took me to move on and secure a master’s degree in robotics. I would say it’s worked out quite well so far. How many patents do we have at NEATO? Somewhere in the 60s, and working on more but it’s top secret information, if I tell you I’d have to kill you (only kidding). I cannot disclose that info. What’s your favorite song to dance to and why? Mr. Brightside by The Killers… I’m a huge Killers fan. I just saw them for the first time this past December 2017 and they were fantastic! If you could do anything in the world no matter how much time or the cost what would it be? Learn how to blow glass. One cat named Lucifer, we got him from an adoption shelter. 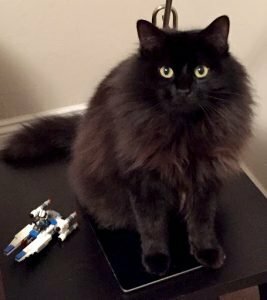 He is mega fluffy, black cat with white tuffs between his toes. He is the sweetest lap cat ever. If you could ask Lucifer three questions what would they be? What food do you actually like? Why do you run around the house at 2am? Do you want a friend? When you have the blues what cheers you up? Playing The Killers or Queen, or readying anything by Terry Pratchett or Tamora Pierce, namely Squire. I also like to play video games. 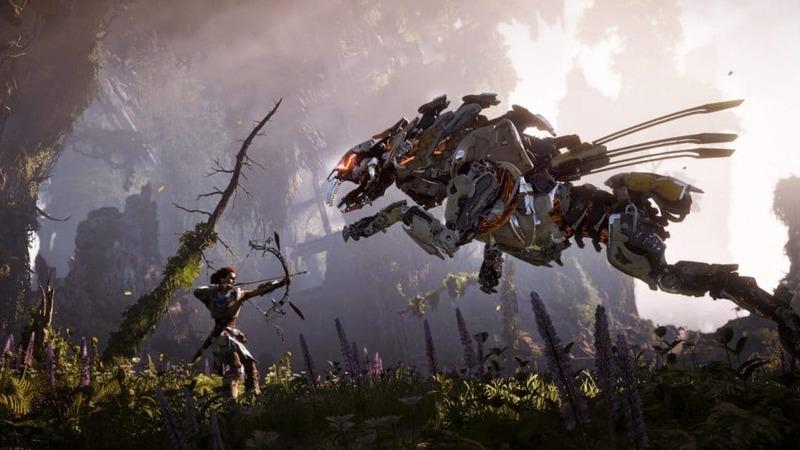 Horizon Zero Dawn is one of my favorites and puts me in a good mood. I am able to track down robot dinosaurs as a female protagonist, it’s really a great game. I am able to track down robot dinosaurs as a female protagonist… it’s a great game. I’m inspired a lot by other women that do things because they want to, things that are not necessarily popular by mainstream standards, but they do it anyway. There are so many women that are willing to do things and stand up for what they believe in and that to me is so inspiring.